This extraordinarily clear exposition on the wisdom section of the Guide to the Bodhisattva's Way of Life is based on an oral teaching given in Switzerland by HH the Dalai Lama before an audience of thousands of Tibetans and Westerners in 1979. Shantideva's Guide to the Bodhisattva's Way of Life is one of the most important texts in the Mahayana tradition of Buddhist practice. 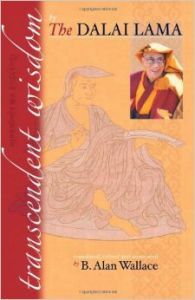 Its ninth chapter the section on transcendent wisdom is known among Buddhist scholars as a challenging exposition of Madhyamika philosophy and difficult to understand without a commentary. This invaluable volume with its precise elucidation of core issues of Tibetan Buddhism stands as a key work in Buddhist literature. His Holiness the Fourteenth Dalai Lama is considered the foremost Buddhist leader of our time. The exiled spiritual head of the Tibetan people he is a Nobel Peace Laureate a Congressional Gold Medal recipient and a remarkable teacher and scholar who has authored over one hundred books.